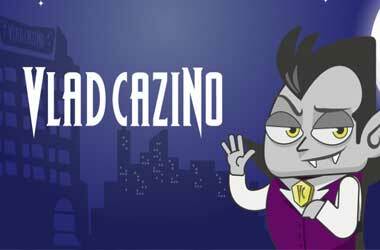 The Kindred Group which owns the Unibet brand recently announced that they are launching an exclusive new gaming brand for the Romanian market named Vlad Cazino. This is the first time that a gambling operator will offer one specifically customized for the Romanian market. This launch is part of Kindred’s strategy of growing their overall market share in local regulated markets by creating hyper-local brands. Vlad Cazino was developed completely in-house and will be marketed as a unique offering specifically designed for Romanian players. The Kindred Group has already met success with the hyper-local approach when they launched the Storespelare/Storspiller brand for the Swedish and Norwegian market in 2017. Both brands were developed in the same way as Vlad Cazino, completely in-house and showcased the Kindred Group’s strong online platform. This approach allows for a lot of flexibility – ensuring that each brand is tailored to a specific market’s tastes and needs. The Unibet brand already operates in Romania and was one of the first brands to receive an online license when the country legalized online gambling back in 2015. With the addition of Vlad Cazino, it is the first time that an operator has launched an additional brand to an existing license in Romania. The in-house developed online casino features a lot of vampire imagery and plays on the Romanian connection to Vlad “The Impaler” Dracula, the inspiration behind the Dracula myth. The new site will look to increase the Kindred Group’s market share in Romania and Vlad Cazino will provide players with the highest standards in player safety, customer experience and online games that will appeal to its Romanian clientele. The launch of the Vlad Cazino brand coincides with the Kindred Group’s scrapping of the Stan James online brand. Kindred acquired the Stan James brand back in 2015 but announced in October 2017 that they would be folding all of its operations into its flagship Unibet brand. The forced migration of all players to the Unibet brand is now finally on the horizon as company representatives expect it to happen in the next couple of months. Unibet has already taken over Stan James online’s sponsorships and the brand is quietly winding down.